Hyundai Canada is offering prospective Hyundai shoppers access to vehicle reviews by current Hyundai owners, collected by U.K. company Reevoo. They will be available soon at Hyundai’s new consumer website. Reevoo says the reviews are collected only from verified purchasers, promising a zero per cent chance of falsified reviews. CEO Jonathan Callcut said Reevoo is a reaction to the trend where consumers want to see opinions of people like themselves before purchase. Hyundai Canada spokesman Chad Heard said negative reviews won’t be suppressed, and said they will be forwarded to product-planning and product-development teams. A new no-extra-cost system for the Dodge Charger will alert officers when someone is sneaking up from the rear. In November, Det. Benjamin Marconi of the San Antonio Police Department in Texas was shot to death by an assailant approaching from the rear of his parked police cruiser. The suspect is awaiting trial. 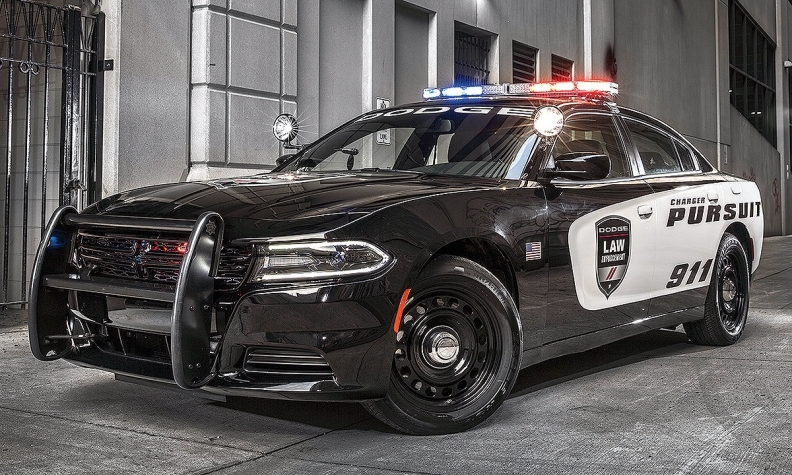 In reaction to that incident and others, Fiat Chrysler Automobiles announced that all Dodge Charger Pursuit law-enforcement vehicles would be equipped with a protection package that uses radar and cameras to warn officers of people approaching from the rear. The system is designed by InterMotive Inc. of California and is available effective immediately and at no added cost to police departments. “While it does not replace vigilance, this technology acts as a second set of eyes and provides officers with added peace of mind when they are in a parked Charger Pursuit,” said Jeff Kommor, vice-president, fleet and business sales for FCA. Will coming new cars be Freudian or Jungian? Ford Motor Co. postulates that by 2022, 90 per cent of new cars will employ some form of voice recognition, and predicts at least some of those will also be able to sense the driver’s mood and offer a semblance of therapy. Fatima Vital, senior director, marketing automotive for Nuance Communications, which helped develop Ford’s SYNC system, suggested future technology could determine a driver’s emotional state from both voice- and facial-recognition systems, and “tell you a joke to cheer you up,” offer advice or give appointment reminders. Ford also suggests future systems will employ cameras for gesture-based commands, such as nodding to accept a call, twisting a finger in midair to adjust volume or setting destinations in a navigation system by looking at a spot on a map. Jaguar has teamed with Shell in the U.K. to offer an in-car payment system for fuel bought at service stations. CREDIT CAR TO REPLACE CREDIT CARDS? 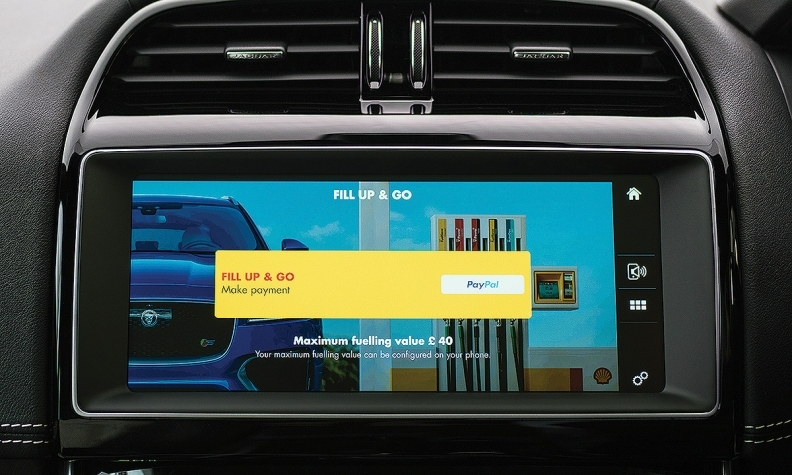 Jaguar and Shell have teamed up in the United Kingdom to provide an in-car payment system for purchases at fuel stations. The system uses either Apple Pay or PayPal via the car’s touchscreen and is part of a new suite of features available on 2018 Jaguar XE and XF sedans and F-Pace tall wagons. It rolled out in the United Kingdom on Feb. 15 and is expected to roll out to other markets later this year. Android Pay will be added later this year. The app also allows users to log their journeys and save receipts, which is important for business users needing to log kilometres for tax purposes. Jaguar suggests future technology could provide cashless purchases at parkades and fast-food drive-thrus.